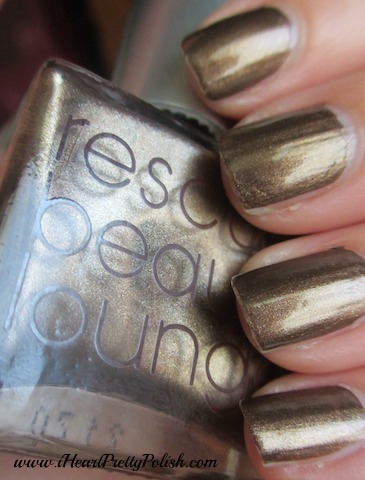 This is my first Rescue Beauty Lounge polish. 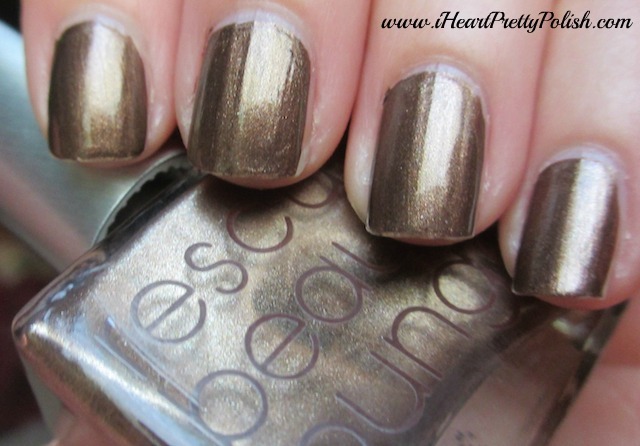 Ghost was the one I knew I had to have when I started seeing swatches of the GOMM Collection. As soon as there was an opportunity to purchase the individual polishes after the pre-sale, I jumped to it. Upon looking for Ghost "Ranch" I realized "Ranch" was crossed out. I then read the RBL Blog and found this story. I thought it was pretty interesting and sad that she had to change the names of this whole collection. Instead of printing new packaging, she just crossed out part of the names and signed each box (pic below). Now to the polish. I had such a hard time getting an accurate picture of this polish. I am so frustrated. It has really pretty shimmers and it just won't show up in my photographs:( BUT, I couldn't believe how creamy and easy to apply this polish was. I'm not sure if all of Rescue Beauty Lounge polishes are like this, but I am very happy with this shade. It's almost like applying a metallic polish. It was more of a suede finish before I added the top coat. This will be a great fall and winter color! 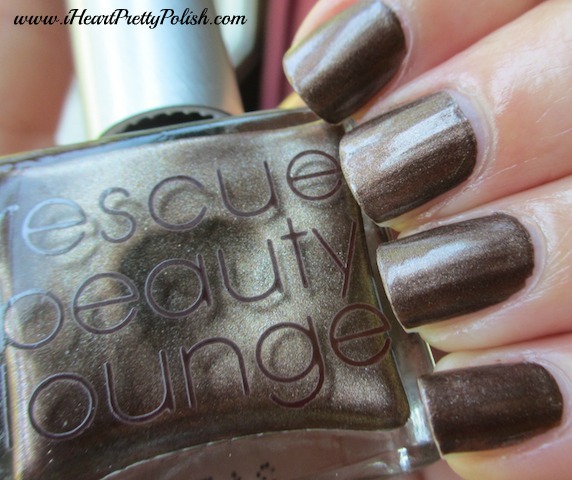 I'm happy to have been able to add a Rescue Beauty Lounge polish to my collection and it also has an interesting story behind it. Do you own any RBL polishes? Wow- that's a great shimmery brown. Very unique. I'm so excited for all of the fall collections coming out. My favorite time of year for nail polish colors! ahhh super lemming this right now!! i better get it before it's gone. gorgeous! v. bummed about the legal issues with the collection.. the original names and inspiration are beautiful. Beautiful, Essie. This was the one of this collection I was most lemming, myself. What happened to Ji is so unfortunate, especially since they initially praised her collection. Anyhoo, now that you have one, can't you just feel the energy behind it? Her polishes are so inspired.